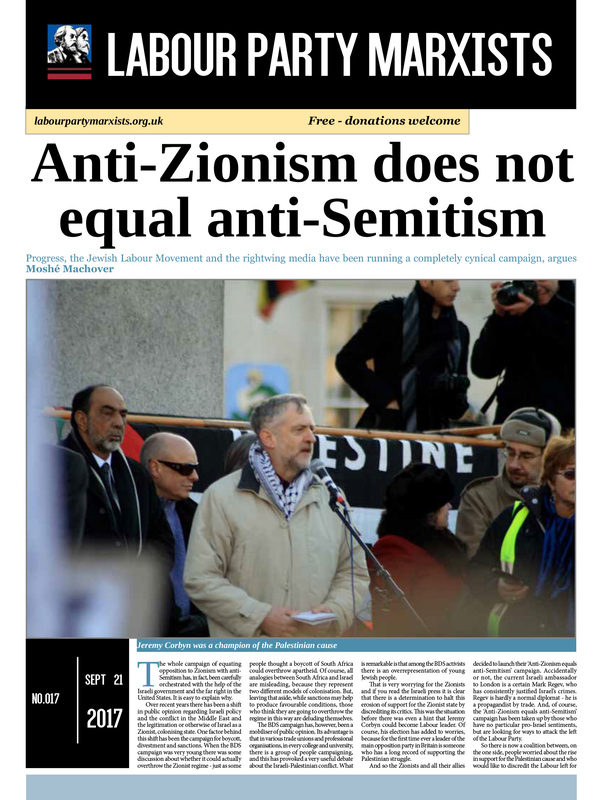 The Parliamentary Labour Party is doing everything it can to undermine Jeremy Corbyn – and ‘anti-Semitism’ is still their weapon of choice, as was shown vividly at this week’s meeting of the PLP. 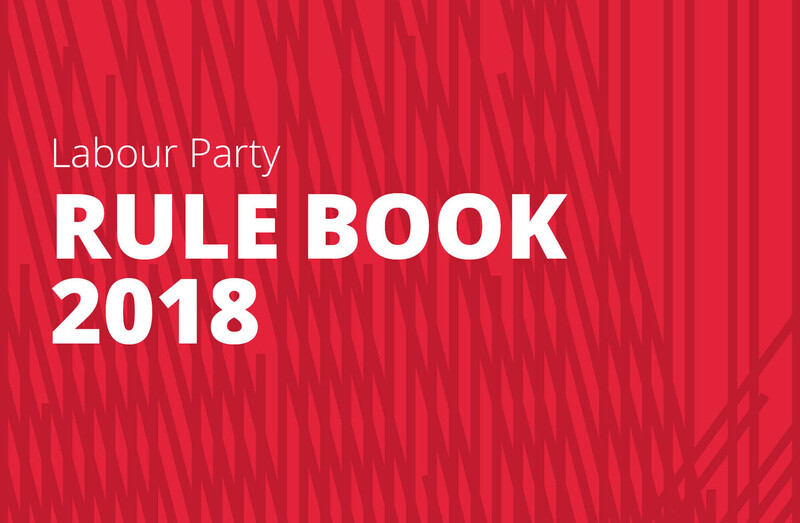 This was dominated by the news that of the hundreds of Labour Party members suspended and investigated over anti- Semitism, 20 had been “allowed to remain in or return to the party” – in the last four months! That includes, for example, a member in Sheffield whose only ‘crime’ consisted in sharing a montage of the Jobcentre sign with the words Arbeit macht frei imposed on it. You see, because the Nazis used the slogan over some of their concentration camps it follows ipso facto that the comrade must be anti- Semitic. This is so absurd, it beggars belief. 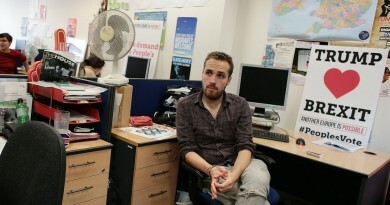 Clearly, the comrade was accusing the government of acting like Nazis in their treatment of the unemployed and disabled. It is a disgrace that she had to wait months to be cleared. Not only that: her name (and those of others cleared) was then leaked to the outraged Daily Telegraph, adding more distress to the comrade and her reputation – and giving the right more ammunition. As disciplinary cases are supposed to be treated confidentially, it seems that somebody on the NEC had leaked the info. 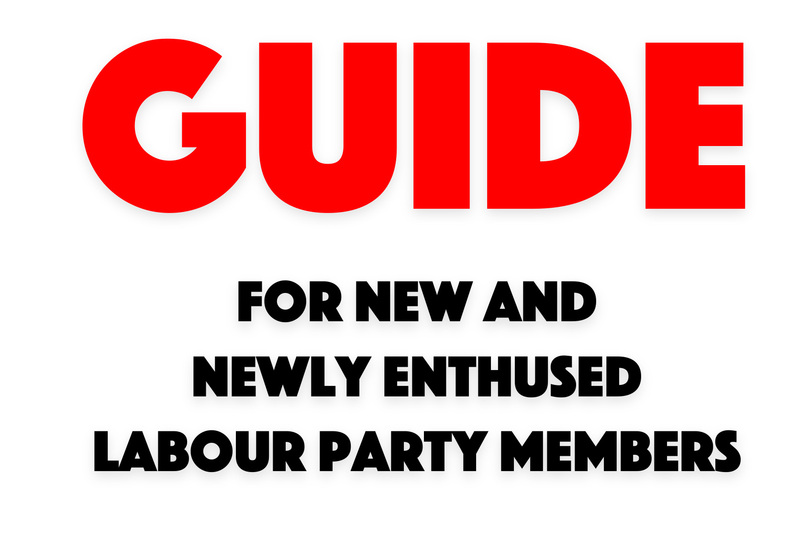 Unfortunately, there are toomanysuspectstostartguessing-the list includes, unfortunately, Momentum owner Jon Lansman and his close allies, who have thrown themselves into the campaign to equate anti- Zionism with anti-Semitism. Perhaps his low point – which cost him the last bit of respect he had commanded on the Labour left – came when he implied his former comrade, Pete Willsman, was anti-Semitic, removing him from Momentum’s recommended list of NEC candidates (he was re-elected anyway). Whoever leaked this info, it was a welcome weapon for the PLP, which is, of course, still totally dominated by the right. A motion was “unanimously supported” (Or, as the Skawkbox writes, it was not actually voted upon, but left unopposed, as, ridiculously, frontbenchers are apparently not allowed to speak in PLP meetings) that criticises the party leadership and particularly general secretary Jennie Formby and asks them “to adequately tackle cases of anti-Semitism, as failure to do so seriously risks anti-Semitism in the party appearing normalised and the party seeming to be institutionally anti-Semitic” (The Guardian February 5). This is utter nonsense, of course: the party has become so over-sensitised to the issue that knee-jerk investigations are being launched left, right and centre against anybody criticising Israel or the Zionist lobby (often, evidence for these investigations has been collected by software that automatically scans Facebook posts to find particular words like ‘Rothschild’ or ‘Zionist’). By trying to appease his critics – rather than stand up to them – Jeremy Corbyn has allowed things to get this far. Every time he lets the right take a step forward, he is being pushed two steps back. Formby has been given seven days – until February 11 – to tell the PLP “how many complaints of anti- Semitism levelled against members remained unresolved”. Actually, we would love to see that figure too: judging by the number of vexatious complaints we have seen, it will be absurdly high – probably in the thousands. Formby’s written answer to the PLP is as bland and conciliatory as could be expected. She promises, for instance, that she is “committed to implementing a world-class education programme on anti- Semitism”, and that “it’s essential that this is done with the support ofJewish organisations, to ensure our education programme commands their confidence and support.” We somehow doubt that anti-Zionist Jewish groups like Jewish Voice for Labour or the Jewish Socialists Group are among those she is thinking of. More interesting, however, was her speech to the PLP (which has naturally been leaked to the media too): she quite rightly stated that she will not be able to comply with the request for reasons of confidentiality and, after all, she only answers to the NEC anyway, not the PLP. That must have gone down like a lead balloon. She then went on to say that it is “impossible to eradicate anti- Semitism and it would be dishonest to claim to be able to do so” (Daily Telegraph, February 5). That is a rare admission of the political reality. As long as prejudice and racism exist in society, they will find reflection in a tiny minority of Labour’s mass membership. That kind of prejudice is best fought with education through open and transparent debate (not by ‘rehabilitation’ lessons organised by the Zionists in the Jewish Labour Movement or the Board of Deputies). Needless to say, the right is not really concerned about anti- Semitism, Islamophobia or any other kind of racism or prejudice in society. They have joined forces with the Zionist lobby simply because it suits their agenda: getting rid of Jeremy Corbyn at all costs. They have discovered that charges of anti- Semitism stick best – because Corbyn has allowed them to stick. And so the most ardent rightwingers have reinvented themselves as courageous fighters against anti-Semitism (a bit like the three eccentric Britain First supporters outside Labour Against the Witchhunt’s conference, who accused attendees of being ‘Nazis’). 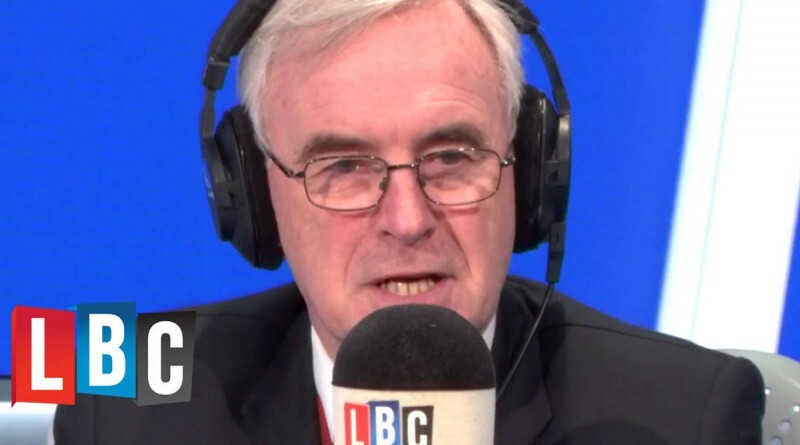 The Labour leadership bears a huge responsibility for this topsy-turvy, Orwellian situation. John, you just do not get it. The day the right stops going on about the ‘anti-Semites’ in the party is the day when you and Corbyn have finally been defeated. Time to stand up to them. 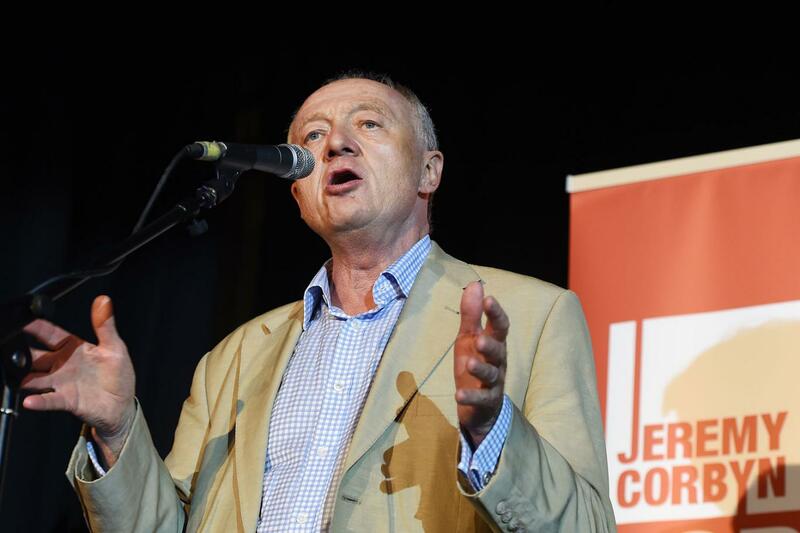 London Communist Forum April 9: Defend Ken Livingstone! April 7, 2017 Comments Off on London Communist Forum April 9: Defend Ken Livingstone!